Woohoo I have photos again because my computer stopped hating me! Instead of catching up on heaps of posts, I'm just going to do one massive one. Life has been so hectic lately because I'm back at school now and everyone's stressed out because exams are so soon. As soon as they're over, I promise to pay more attention to my poor blog. Anyway, here's what you've been missing over the past few weeks..
Those photos are from a windy but lovely day at the beach in the middle of my holidays. I had just come up from blair's house and we were driving past and wanted to have a look. It was one of those days before the rain sets in where everything is grey and pretty and dramatic and damp and it makes you feel like the world is so big and powerful and In comparison you are nothing because the sky and the sea and everything in between are so amazing and real and beautiful and you are just a person whose life is so uncertain and insignificant compared to the entirety of the world you're in. wow. Can you tell that it's 2.30 in the morning and I'm procrastinating writing an essay? I love love love my new little bag which I bought from my work. It's so handy and cute. I spent this day relaxing and rejuvenating. Me and Blair got a massage at a spa in town and then had a nice lunch and watched a few dvds. I'm so sad holidays are over. 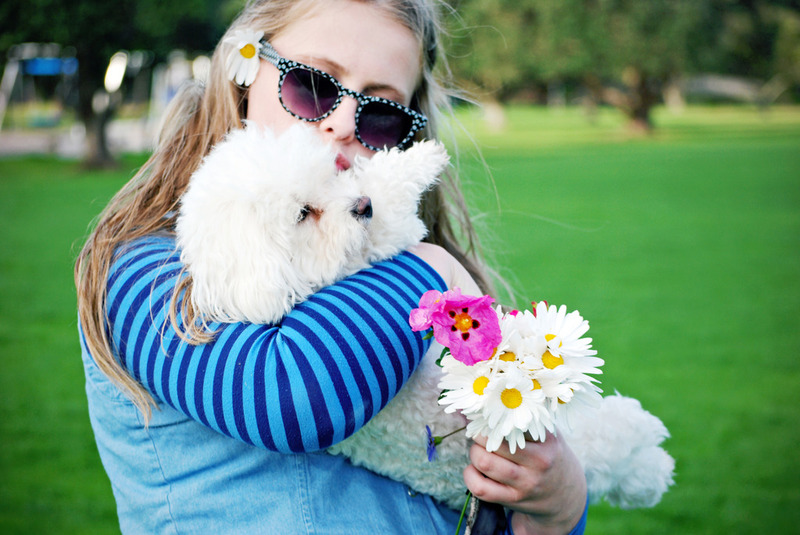 Those are a couple of photos from a while ago when me, Ashley and Mikki went down to the beach and picked flowers. It was a really nice afternoon and I got the coolest photos of it on my film camera which I'll show you when I develop them. I have a whole lot of new ins to catch you up on too which I'll do ASAP. In the meanwhile, here's my favorite sleeping song. I really want to sleep right now but I have to finish this essay. Ughh. Thank you for always being so lovely. i'm obsessed with that song. it makes me tear up every time i hear it, its so beautiful! i love your photos!